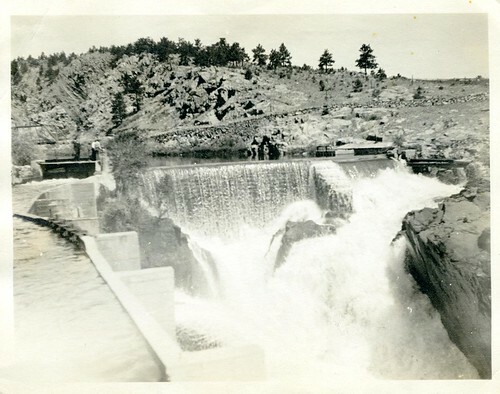 Description/Caption: On verso, "Dam above Denver"
Restrictions: There are no known U.S. copyright restrictions on this image. While the digital image is freely available, it is requested that www.waterarchives.org be credited as its source. For higher quality reproductions of the original physical version contact www.waterarchives.org, restrictions may apply. This entry was posted in Colorado and tagged COLORADOA0009, Dille, Diversion, Thompson. Bookmark the permalink.